At meetings of NCCIH’s national advisory council, Dr. Briggs often invites a Council member to give a lecture during the open session on his or her area of scientific expertise. These invitations are relevant to council members’ responsibility to advise and make recommendations on the Center’s research activities and functions, including through their secondary review of applications. Speakers in 2015 included Drs. David Borsook (Boston Children’s Hospital) and Lynda Powell (Rush Medical College). 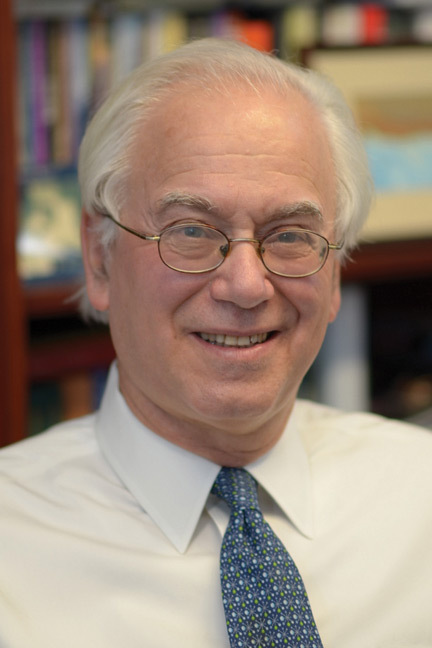 At the council’s February 5, 2016, meeting, Dr. Martin Blaser spoke on “Perturbing the Early Life Microbiome and Its Consequences.” Dr. Blaser is an NIH grantee and Singer Professor of Medicine and Professor of Microbiology at New York University Langone Medical Center, where he also directs the Human Microbiome Program. Microbial cells and genes in and on the human body vastly outnumber human cells and genes, Dr. Blaser said. They are ancient and niche-specific, often persist for long periods of time, and have a dynamic relationship with their hosts. In mammals, a mother transfers her microbiome (i.e., the microbial communities that live in and on our bodies) to her baby during a vaginal birth, and in other ways such as breastfeeding and skin-to-skin contact. In humans, the first 3 years of human life are a developmentally critical stage for a person’s microbiome and for functions like immunity, metabolism, and cognition. Dr. Blaser hypothesizes that the diversity of the human microbiome has been falling through successive generations in developed societies―a concept that has some support from human and animal studies―and that this is affecting human physiology and disease risk. Possible reasons for the disappearing diversity, he said, may include the rise in births by caesarean section, replacement of breastfeeding with bottle feeding, more exposure to antibacterials, and increased use of antibiotics. He has been studying whether antibiotics may have a link to obesity and various other conditions/diseases by perturbing the gut microbiota, especially early in life. About 70 years ago, Dr. Blaser said, farmers learned that feeding subtherapeutic doses of antibiotics to livestock promotes their growth and how much meat they produce from their feed. The earlier that antibiotics were started, the greater the effects were on livestock growth and body composition. Studies in mice have shown that exposure to antibiotics early in life, even for short periods of time, has lasting effects on growth and body mass. Short periods of exposure to antibiotics can also perturb the microbiota, at least temporarily. Transfer of perturbed microbiota into germ-free mice changes the latter animals’ growth pattern and body mass, suggesting a possible role for the microbiota in antibiotics’ long-term effects. Limited human data also suggest that individuals who were exposed to antibiotics in the first 6 months of life developed higher weights later. Cox LM, Blaser MJ. Antibiotics in early life and obesity. Nature Reviews Endocrinology . 2015; 11(3):182–90. Cho I, Blaser MJ. The human microbiome: at the interface of health and disease. Nature Reviews Genetics . 2012; 13(4):260–70. Blaser, MJ. Missing Microbes: How the Overuse of Antibiotics Is Fueling Our Modern Plagues. New York: St. Martins Press, 2015.